After almost two months in jail, sources reported to Gedab News that Hajji Mussa, who was arrested by the government security forces, is seriously ill. Though there is no specific information about the illness that he is suffering from, the presidential office has instructed the prison warden to release Hajji Mussa on bail and put him under house arrest. Though the impasse was reported to the presidential office, no further steps have been taken. Many prisoners have died in prison for lack of medical care and due to harsh conditions in prison. The bodies of many prisoners were dumped at the doorsteps of their relatives for burial. For example, Taha Mohammed Nur, the brother of Hajji Mussa, was arrested for many years and when he died in prison, the government dumped his body at the doorsteps and told his relatives to bury him silently. As of late, even supporters of the ruling party have been realizing the inhumane treatment of the elderly and the government is trying to avoid known prisoners dying in its jails. Hajji Mussa is the board director of the Al Diaa school whose students and staff demonstrated in protest against the government’s interference in the affairs of the private school. Now that i am sober after two glasses of wine for x-mas, i have been thinking. There is something the friends of sudan can help. That is, when they pass through khartoum, if they could tell al bashir to build the nuclear power plant far from the borders of ethiopia and eritrea, in the middle of the country, in a barren area. Everybody should hope that chernobyl is not repeated in africa. 1. Comment only if U have something positive to add to the forum and humanity at large. Well, it is also election season here in Awatista nation. 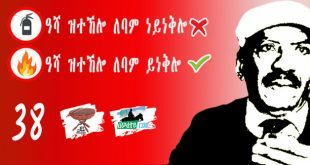 I second the nomination of Kokeb Selam for the prestigious position: Awatista of the year. As a former Awatista of the year, I have the honor to second his nomination for his courage in challenging health adversities while keeping up his familiar cool self, gracing us with poems and other “mediating” roles. Wish U Kokebay more of health and strength. The forum is blessed with individuals of high caliber, too many to mention. Thanks Nitrickay for initiating it. Thank you for Holiday advice. I also second nomination of Kokhob. His caurage and rectitude in facing adversity was phenomenal. Your majesty: I hope you are having a splendid X-mass you and your loved once and the rest of my awate-family. And it is my hope we all see the greater picture and be kind to each other. I agree with you, we need more positive and constructive way of engegment from what we are witnessing. I will lead the chance when it comes to positivity and productive contributions. I hear you loud and clear. By the way I didn’t forget about the Eritrean airline take you had, I am studying the current aggressive launching of the Eritrean government airline project. Once I gather a few things, I will response accordingly. In the mean time, nothing but love and respect my man. Merry Christmas and Happy New Year Awate family— wish you lots of love, joy and happiness! Merry Christmas…. I warn you all, I intend to eat and drink on your behalf. Your fault for any excesses. Keeping Saay and family in my thoughts. My best friend in the US and I have a retirement plan. We pledge to walk, yes walk, from Moyale (Kenya border) all the way north to Karora in Eritrea. We have planned the whole route assuming there will be peace between the two countries by then. a) No vehicle will be used at any time. b) No animal ride will be accepted unless to back track to retrieve a forgotten item or to enhance the adventure as long as no gain in the distance of the voyage is made with it. c) No cellphone usage except in designated areas and for maximum of 5 minutes to contact family and friends. d) The pace will be slow. No member will be allowed to wander away from the group beyond one kilometer, estimate. e) We may spend more that 24hrs in some historical places, but generally, we will walk during most days or bright moon nights as long as the group agrees. f) The walk will be dedicated to someone or some event upon a majority vote based on all member’s presentation and reasoning. These are the rules so far. Additions and modifications are allowed following group discussion. Your Fairness: you seem to hear my conversation with my dad. hahahahahah. I have this dream to visit Sudan. 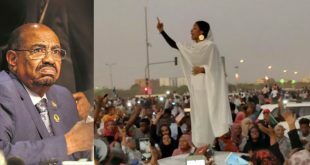 All i heard about my parents about Sudan is very positive. On early 1980’s my parents lived in Sudan, Port Sudan first then in Kesela before they headed to the US. So, my dream is fly to Sudan and buy new landcruiser and load up with everything we need and start from the capital city of Sudan, drive to Port Sudan, back to Kessela and drive through entier lowlands of Eritrea all the way to Asmara. After few day in Asmara, start driving all the way to Meqelle. After few days in Meqelle, drive all the way to Addis-Abeba. After a few days rest in Addis drive all the way to Moyale and final destination being Nirobi, Kenya, then fly back to the US. of curse my dad thinks too dangerous and trying to discourage me but i am going to do it at the right time. And the trip i will be beautiful Africa. One day i will do it. it funny you have similar plan. hahahah. This is what i must do. If by chance you drive through Mekele pls pass my greetings to Abay Weldu and his team, don’t forget to carry Red Sea fish and share with General tsadikan . Again nice dream only thing I worry is that Sudan is too good and may be you will drive back to Sudan . Hey blink, hahaha. Are you kidding me. I heard Meqelle night life is epic and the women are beautiful, I will be busy to live it up lol. I won’t have time to mess with Abay Weldu. Besides, all the thing I say about TPLF, he might try to put me in jail. Lol. So, I will be in the fun zone and mind my own business. And you are right my parents can’t stop talking the good thing about Sudan but I am more worried About Going to Bahidar. That is way I didn’t include Gojjam on this plan. I love Gijjam I don’t know why. If every thing goes as planed, I am planing a six month adventure. We will see!!! I have to convince my old man. That is great news Nitricc, go and pls put everything on picture, by the way is there any system that can show you our own people from awateforume ? If possible pls find the many doctors we have around . Wish you safe journey. Hey Blink, thanks. right now is just a plan but i have never shy away from what i have set to do but again will see how it goes. for sure it will give me insite of the region on eye witness account. I will do it though, getting the green light from the old man. hahahahahah. Very good plan. Caution is always prudent but I would not let it be the central focus. Most people are good in our region, and many people I know and I think that the Sudanese are perhaps the most kind. Listen to your dad’s wisdom in all of your plans, but keep in mind that we only have one life to live, and if it is our day to go, there is no way of stopping it no matter where we are. Several years from now but we also have lots of circular driving plans. Hopefully, we will talk when the time gets closer. I am surprised at your American (or is it African?) mentality. Meles Zenawi, calls it a romantic western outlook. You better listen to your Dad in earnest. It reminded me of the 70s Hippies of the Northern California who used to chant “make love not war” in the midst of cannabis smoke filled parks. After all, one has to feel a little envy about the pure innocence and wished it could be materialized. Did I ever mention that I was old and set in my ways? Now, I never take a step forward unless I know where the landing is. Double the times, if the steps are involved down the stairs. Fanti, I guess I am saying count me out on many levels. What can I say, I left home too young! I weaseled my way through life with the help of strangers mostly. So, I have been rearranging and cementing my tilting marbles in place occasionally. Hopefully, I will have it all in its proper place by the time I am ready to retire. ጀግና መውጫ ኣያጣም” in the other. So, I am debating witch way to go with you. Fanti, you are a good sport. I get the drift of the sayings. As you know, they all emanate from the same source to paraphrase our psychological problems and conditions. They are gems. You are a survivor no matter what. I think you will be o.k. But Nitricc is another story. I don’t think he will make it to the Northern outskirts of Moyale, before he calls the U.S military helicopter to take him to Nairobi. I look forward to reading your upcoming recruitment campaign, using the tried and honed skills. There is another read I look forward from you. In the event the trip is cancelled for lack of participation, I hope you write a fact based fictional descriptions and encounters of the peoples from Moyale to Mekele. It will be a great read from you. Wow what a plan. And what an honor to be invited. Actually I am speechless Fanti. Sign me up. Yesterday please :-). I like the rules too.. haha. Get out of civilization. This is one of the best christmas gifts I have been given. Why is it the Mazungus long for long African Safari.vacations? Doesn’t seem as the dash toward greater civilization by the African the more chaotic and disorderly the minds, bodies and spirits of the human gets? his secondd No Longer At Ease and the third Arrow of God! Papa Sam Ikkenze a peer contemporary and close brother of the Prolific Nobel Laureate Author Chinua Achebe. Things fell apart, NO LONGER AT EASE (Now Sire!) Awaiting The Arrow of God. There in lies the Trilogy of STAR WARS! Fanti I am ALL IN! BLUE Island … Al Haj Malik Shebaz Malcolm X Swimming Center!!! IlFibonacciII Hisab Hilet Teseneyy 1V – 1/. AmEriGitSAtSE Azzilo 40 Agniyeya40 Acres and A Mule. This is already looking wonderful. Saay will be drafted even if we have to drag him along with a rope. I am trying hard to control my self from giving away details prematurely, but once participants realize why we wanted to do this in the first place, I am confident that they will be twice as glad they joined. My level of commitment to this project just shot up by several degrees upon learning yours and Amde’s interest. Stay tuned! Admiral Saay7 is on board I guarantee it. Things Fall Apart, No Longer at Ease, Arrow of God. 1. Why is it the Mazungus long anxiously for their extended African Safari.vacations? 2. Doesn’t seem as the dash toward greater civilization by the African States accelerates the more chaotic and disorderly the minds, bodies and spirits of the, ecology, human a all species lives gets? his No Longer At Ease and then his completion of his trilogy with Arrow of God. to.treck from.Harare, Dodoma, Kampala, Nairobi, Finfine, Bahrdar, Mekele, Zagir, Aqurdat, Medeni..Gedarif.. TRIPOLI!! !… Ankara and Timbaktu. Sire da Pilla And, I will take this opportunity and commend the Chefs of your Court! The Eggousi Fish Head Soup, pounded yams, Kola Nut is as good as Ogidi! I have brought palm wine as it goes.excellent with your zigni, kitfo and kisra. The palm wine along with Garri and pounded yams gifts from the estate of one Papa Sam Ikenze . He sends his blessings and prayers for good fortune to the Eastern lands for the new Year. Papa #Sam Ikenze a peer contemporary and close brother of the Prolific Nobel Laureate Author Chinua Achebe. Things fell apart, NO LONGER AT EASE (the world is now it seems Sire!) And all are hopeful and Awaiting The Arrow of God. PS: A deyy go edit fo laita now.. you no fuss now. Merry Christmas to all; and thank you to those who preceded me to post their greetings and good wishes. Merry Christmas to all of you, awatewyans! Who is an eritrean, and in extension who is an ethiopian, who is a german, etc, seems the topic of discussion? Human beings, from what i can understand, have been migrants, to nearby or far away places, since their development as groups in the region of east africa. That is what history and dna studies tell us. When they got out of east africa, and travelled as far away as the four corners of the world, they could have been the first settlers, in the regions they camped. Even then, they did not remain there forever, because they continued to move around to find better places, or they were forced to by conflicts, diseases, droughts, famines and even wild animals, and finally to conquer other regions in the recent few thousand years. It is said that some people had returned to the place of the origin of their far away ancestors, to the horn of africa, from the regions of asia minor and the middle east, farmers who formed about 25% of the population at one time, about 3000 yrs ago. I think it was brought by Lebam, the two videos posted by two ethiopian girls. If the story is true and the tests were reliable, none of them had indigenous east african genes (let us call it habesha genes). Their genes were a mixture of south african, arabian, middle eastern, north african and even asian. If true, what does this show? It shows that human beings had been and still are travellers/migrants, leaving behind their genes where ever they passed through, which forms the present day population of human beings. Even today, as we discuss the subject, this phenomenon continues, never to stop. Now, trying to find out who are the true owners of a piece of land called eritrea, that has been politically separated from other regions of the wider horn of africa, is equivalent to asking let us test our dna to prove who is an eritrean, whatever an eritrean genetic makeup really means, and if it has any relevance. Those who say that they are more eritrean than others may find out that they have no genes that makes them more eritrean than others, and their genes may have travelled long distances over land and crossed seas and oceans. Therefore, it is better some people stop discussing an issue that does not exist. An eritrean or an ethiopian for that matter, etc, is mainly political than genetic, and even then, in my opinion, it is an irrelevant question after the first generation. Nobody lived in confinement and separated from other people for ever. The jews who tried to do so, are known for genetic diseases that occur mainly in this group, which shows that nature hates isolation. 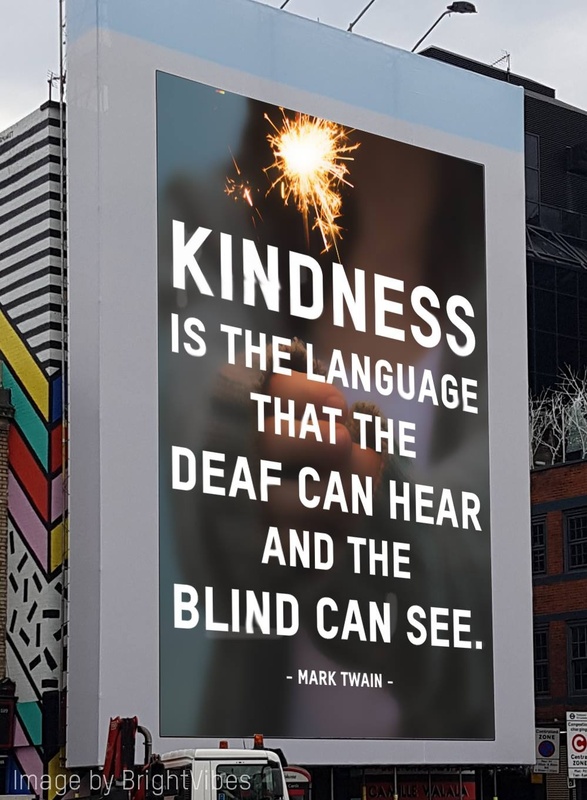 Kindness defies transactional logic, which usually ends up being a zero-sum game. Kindness is empathy plus action. 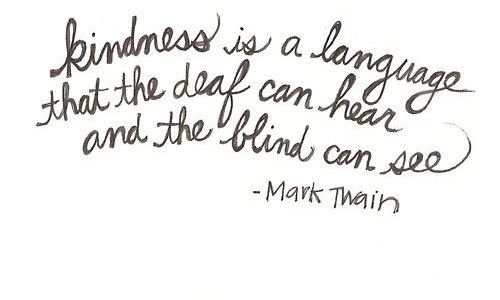 The Kind feels good for being kind to the other. The Other feels good for having being shown kindness. But I appreciate the rhetorical device as a way to draw empathy about the unfortunate, and to question our own sometimes flimsy status in life. “There but for the grace of God go I” as the ferenji say. I don’t hear “yene biTe” any more. It is all “lemagn” now, as if it is a trade. (although there are too many that do make a tidy living out of it). It is a pity really. The father of “Individualism” Cain retorted, “Am I my brother’s keeper” when God asked him the whereabouts of his brother Abel. This was way before we had forensics and the smart fictional character-detective Hercule Poirot as well. As Ethiopia is embracing Capitalism in its crude form, it is on a verge of being swept by the malady that comes with it where the time tested social fabric and moral anchor as in “yenie b’Tie” is almost not only a thing of the past but uncool as well. Blame it all on Ehadeg says yenie b’Tie. Some people in fact argue that “Individualism” traces its roots in an unlikely field of study—the ever abstract and the study of logic. Mathematics. The eccentric 17th century mathematician Rene Descartes who is famously known with “Cogito ergo sum” among other things synthesized Euclidean geometry with Algebra and he gave us Analytical geometry also known us Cartesian geometry. The new and ingenious form of mathematics, however, had huge impact not only in the dogma of science but in sociology and economics as well. At the very core of Cartesian geometry lies the unique view of space as in Euclidean space where it was hitherto was taken as a space with a seamless and continues in nature. But Descartes inserted a new concept where space is a collection of points where every point with in the space has a unique value as in coordinates of x,y and z. This new paradigm of course eroded the age old organic view of a society including a community and family as well. It was with in this reflected consternation and delusion that Rousseau advocated for the idea of going back to a “Man’s natural habitat as in Romanticism” and the French sociologist Emile Durkheim wrote his famous treatise “Anomie.” Perhaps it is prudent the Ethiopian leaders recognize the malady that comes along the allure of capitalism and opt for moderation instead. This time the provocateur is Amde. It’s joy when I read you cover so much space in so small space this forum’s page affords, and come with well written and coherent summary of several thinkers. Sometimes I whisper to myself “ፓውሎስ ፍልሰፍና ነይገድፍ፡ ኣነ ከኣ ቀንጠብጠብ ነይገድፍ”. Mentioning Rene Descartes’ “concept of points”, you shoved me to my fainting memory, and I began to contemplate about the computer screen I am using to sent absurd gestures of mine. Though I cannot casually see the dots (points) what I see is space made of dots. Each point should fulfil an assigned function, and if I image one of them would fail, that particular space would not be complete. Now, if I would jump and relate this to individualists and problems of societies, a perfect social set up should be in place in order individuals to be able to solve their problems and cumulatively add up to solution of the problems of the greater society. But, the question is could we ever hope to get that possibility? I can imagine my raw thoughts would not amuse refined minds like yours. If I sound to be absurdly idiotic just have a laugh and move on. On to the issue that ensued the discussion between you and our dear brother Amde, capitalism and transformation come with necessary evil that can destroy social patterns such as family bonds. The responsibility of safeguarding preservation by synthesizing the best of the old with the best of the new falls in the realm of competent governance system anchored on balanced laws that will have to guide phased transformation that duly takes account of the link between the governing and the governed. Ethiopia, too, will have to be blessed with such arrangement so that it can keep the best of the old and enjoy the best of the new. To the contrary! Your insight is deep and thought provoking as well but you being you of an extraordinary humility, your ideas sprinkle life onto the issue at hand. Thank you! The challenge is certainly on how to reconcile and strike a balance as differing and at times antagonistic interest groups compete for a larger stake either in political power or economic aspects as well. Of course, the road as they say leads all the way to Denmark where the wand of the much sought balance is believed to have been found there. The Danish, however, took them close to 500 years to get where they are today and an Ehadeg aficionado says what is 25 years comparing to 5 centuries. What is it that the Danish got it right? Well, the Danish were the first people who accepted Protestatinism as a national confessional faith where by one of the tenets with in Martin Luther’s 95 thesis was to have the Bible to be translated into all the local languages so that the commoners would have a direct access to the scriptures as opposed to Latin which was the language of the elite. Consequently, when the Danish embraced the faith, the clergy had to teach the people on how to read and write so that they can read and understand the Bible translated into their own language. The social transformation took a life of its own if you will where when illiteracy was virtually eradicated, the people started to be aware about their political rights as well for the Constitution became accessible to all. That is where the journey onto a remarkable political maturity begun, that is 500 years ago. Capitalism certainly generates wealth but the key is on not only how to redistribute the wealth but to invest it on social capital as well. The other challenge is to keep the State in check through strong political institutions as in Rule-of-law, Transparency and Accountability so that the State won’t become too powerful and the State keeps the political institutions in check so that they don’t become too powerful to the extent of rendering the State weak. Competence is measured by on how to strike balance with in the interplay of the said factors. Ethiopia is certainly far from there but it certainly is possible for Rome was not built with in a day as they say. Thank you for introducing me to lesson two. The Danish experience is there for our Ethiopian neighbors to judiciously emulate. Perhaps we could also emulate them when we would be people with sense of urgency and salvage our own and set our selves on track to start step one on the long journey the Danish had travelled. 1. Seriously, your writings on philosophy, mathematics, science deserve their own column. 2. I would love to know what in your opinion is a philosophical stream that is perhaps gaining traction to take us from the excesses of reductionism. Thank you Amde. I appreciate. I believe it was in 2016, the who-is-who with in the scientific community including notable philosophers gathered in Munich, Germany to discuss as one put it, the emerging crisis with in the core philosophy of Science. For almost 400 years “Empiricism” dominated as the scientific dogma where it was set in motion with the prominence of Isaac Newton when he cemented his otherwise “Mechanistic World View” which had replaced the erstwhile “Rationalism.” Rationalism sure enough argued about understanding reality through intuition and deduction where as in a rather uncompromising feat, Empiricism focused more on verification through experimentation. The crisis lies in the very modus operandi that has reigned for almost 400 years where anything that can not be verified through experiment is doomed to be chucked. The modus operandi gained momentum particularly when the Austrian philosopher Carl Popper popularized—verification through “Falsification” circa 50 years ago. Obviously, the dilemma has serious ramifications, if they are going to accept “String Theory” which is mathematically proved to be credible but can not be verified, they will have to accept other notions as in say Faith, Intuition and other otherwise human conditions as alternative truths and merits if you will. The dictatorship of Empiricism and Reductionism seem to be compromised as the emerging reality embraces Holistic paradigm instead. It is amazing how well read you are on philosophy. I usually feel it when some people pick stuff from google and try to make it a thought they have processed on their own. Your insights and comments surely emenate from a deeper understanding of the topics. I am jealous because abstract stuff doesn’t appeal to me and I haven’t read enough on philosophy except when I can relate it to real life that anyone can understand. Went out to watch Ridley Scott’s movie “All The Money in the World” and it was money and time well spent. Ayay, many thanks for those kind words and it means a lot when you place confidence in me. Let me think about the suggestion. Tedla, you are absolutely right about the choice of word on my part where “dictatorship” could sound a bit melodramatic. Both Einstein’s theoris—Special Theory of Relativity and General Theory of Relativity have gone through rigorous scrutiny time and time again where according to the former, for every observer in any frame of reference, not only nothing can travel faster than the speed of light but light travels in a constant speed as well. General Theory of Relativity states that, gravity in a quasi departure from Newtonian “the fall of an apple” analogy, as the curvature of space-time where it was experimentaly verified as light was bent during a solar eclipse—a famous experiment conducted by the British Astronomer Eddington. Certainly, Maxwell gave us electrodynamics but the discovery of light as an electromagnetic wave was a product of an incredible imagination on his part. As it happened to him, the speed of light was already known but the nature of light was still a mystery. Later on however, when he divided the constant of the magnetic field by the constant of the electric field, the result turned out to be exactly the same as the speed of light, and he reasoned that light must be electromagnetic wave in nature. And of course, as Newton famously said it (I paraphrase), if Einstein had seen further than others, it is because he stood on the shoulders of Maxwell. Newton certainly said that to give credit to those who walked before him as in Galileo, Copernicus and Tyacho Brahe among others. Intuition of course plays a role but intuition ought to have a mathematical model so that it can be tested through experiment. For instance, the anti-matter which was proposed by Paul Dirac was a product of an imagination when he was trying to reconcile Quantum Mechanics with Theory of Relativity. As it happened, his mathematical equation appeared to have two identical results of electrons but of opposite charges. And he assumed that if the equation is mathematically sound, there has to be an electron in nature with an opposite charge, again because the equation predicts it. And later on it was found the anti-matter or anti-electron to exist. I can now tell you, you’ve got an avid reader of the spontaneous ideas that you share spread all over the threaded discussions. Unfortunately, I can’t read them all because I am not avid follower of all of the discussions. For example, I am only following the discussions under this topic. I am sure, there is a whole of healthy discussions going simultaneously in other threads, but there just is no way of trying to read them all. One thing I would’ve loved to have you do is to allow readers to follow you on DISCUS. I am a follower of certain Awatawyan on DISCUS, which gives me freedom to read them when I have the time. More importantly, knowing exactly where to find them when I wish to read about an ongoing topic, since all of their writing will be in one space. So, with this potential column at Awate, should it materialize, you’ve got your first student ready to learn along with, I am sure, Ismail AA and many more. I am sure he will beat me to the bully pulpit from which you will impart the vast knowledge you have, but more importantly, the way in which you make physics not only discernible but easy to decipher. Hope you will accept the offer. We have an extraordinarily versatile man in Paul. He is not only equipped with learned knowledge but also blessed with the gift of enormous capacity of retention and memory. He is very much younger than me, and he reminds me of something I had read somewhere many years. After reading what he offers my memory wakes up and gets refreshed, and gives me the urge to ask questions for which he is ready and generous to answer. Many of us in this forum are lucky to have fellow compatriots of such stature in many areas of knowledge and skills like Paul and yourself in literature and linguistics. I am humbled beyond words by your kind and encouraging words. Thank you my dear brothers! I had the habit of reading “Haddas Ertra” the online print pretty much on a daily bases particularly I was much more interested to read about this guy’s column (I think his first name was Mulubirhan—and I suspected he replaced Amanuel Sahle’s ሓንቲ ዓለም) where he talked about issues on different field of knowledge. His prose was lucid and clear to enjoy and grasp as well. It was a joy to read him. Later on, however, I learned that PFDJ—the sharp shooter of bright stars—-threw him to prison (I still hope I heard wrong) and I was sad through and through for I always think that if we all could pull our potentials and use it for the betterment of the country we all love. Just imagine that! 2nd Law of Thermo Dynamics and Quantum Mechanics we are tackling at B.I.T. Timbaktu campus as well.as Mayy NfHi! Campus. B.I.T. Black Institute of Technology!!! Bit by Bit… Bytes. MegaBytes..Teteabites… apparently C.R.E.A.M. has a Challenger as in B.I.T. Coins. Newtonian.hydolics… Solar, Wind and Sea Wave powered..
Perhaps Africa and the world should do some more modeling of long term forcasting. Ohm is a unit of Resistance in circuitry. ሰላማት ሰላማት ጻጸ ዓርከይ እንታይ’ዳኣ ጠፊእካና ዳሃይ ዘይገበርካ. Glad to see you back and Merry Christmas! Hope you stick around for we all enjoy your presence among us. Road to DekemHare… metSAlu Sembel Godayyf. In any case, we all agree that the scientific enterprise is guided by reason, intuition, imagination, experimental results and so on. And to reason through a particular problem, isn’t it natural to look at the simplest case first (reductionism) and hope you’ll arrive at the general explanation of the problem at hand later? And if there are good experimental data and observations around (empiricism), isn’t it a good strategy to get guided by them? The physical theories we come across in college are like that. For instance, the one most likely most people are familiar with is where Newton modeled his theory of gravitation on the fall of the apple (regardless of this event happened or not), and he extended his theory to the Earth-Moon system, and then predicted how much would the moon “fall” as it orbits around the earth. His prediction was validated using recorded astronomical data, and thus attained universal validity. As it were, he connected the apple’s fall to the moon’s fall and beyond. That would be a case of a particular to universal. When it comes to science and personal faith, I found Stephen Jay Gould’s “non-overlapping magisteria” a pretty good guidance. My simple understanding of it is that science is about hard, verifiable facts while religion is about values. A twisted form of የቄሳርን ለቄሳር ፣ የጌታን ለጌታ , if you ask me. To my mind this is a nice, gentleman’s agreement to resolve the irreconcilable. I also support a regular column as Amde and Saleh suggested. With a little discipline, I think you can crank out a generalist column fairly regularly. It’ll help clarify your thinking too. The New Year is a few days out, add one more resolution to your list to come up with bimonthly articles. * I had to chuckle at this one. 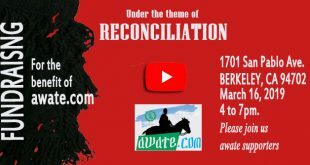 Awate’s proprietors created the site intended for a discussion centered around Eritrea and may be the Horn – here we are taking about a completely unrelated stuff (lol – as Nitricc likes to say). Had a comment for Robel Cali but it looks like Disqus ate it. Oh well, hope it comes up. Greetings awate community; this the time of the year to select the person of the years. My naminations are Khokob Selm or Fanti Ghana. please help and vote. I say Khobe sellam, because the adversity he came over and the strength he displayed to stay with us. And i say Fanti, for his character, humanity and over all his stealth imprachality. now, who do you think be the person of the year? please vote. This year is no contest at all. Kokhob Selam has earned it hands down, way down! Are Jeberti Eritreans? It is a topic by itself. Some say Jeberti are Ethiopians who settled down in today Eritrea because they could not practice their religion. They illegally emigrated and settled down in the highland Kebesa. What is their language? It is Tigrigna, because their roots is Tigrai. But they wish to be Arabs and they wish their language is Arabic. So why they get involved in Eritrea politics? That is good Question. Since hundreds of years , in Eritrea constitution “Baito” says that Ethioipans who want to settle down in Eritrea and want to acquire Eritrean citizenship need to wait 40 years. Did Jeberti passed through that process? Most probably not! I would appreciate if someone can enlighten me in regard to that. Not as a defensive but Eritrea as a sovereign state is 27 years old and on top of that there is no constitutional issue with jeberti because if you just don’t want to forget jeberti do paid equal share in making Eritrea. The language issue is simply irrelevant. Call any ethnic apart from the kunama and Nara , all other ethnic do migrate to Eritrea from some where . Even the relatives Tigrinya and Tigre are not first settlers . Now why is this about jeberti again ? I personally don’t agree with power by affirmative action because that is just nonsense nor do I believe on ethnic based politics. Arabic is an international language and it is a plus even for you to learn it. Don’t listen to some lunatics from jeberti because they really don’t represent all jeberti. 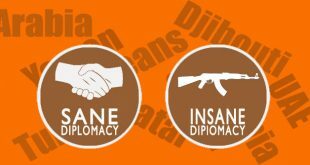 I call the few lunatics the product of Saudi Arabia religious leaders and these few have no power to change any thing. Oh I forgot Eritrea doesn’t have working constitution so why are we arguing? I don’t know on what you base and consider yourself to be the certified eritrean or belonging to a certified group to be able to question other’s eritreanism. Instead of answering your question on whether Jeberties are eritrean, let me answer to a question ‘who is eritrean’ in a form of a short poem in tigrigna below. I hope you have possibility of reading tigrigna. 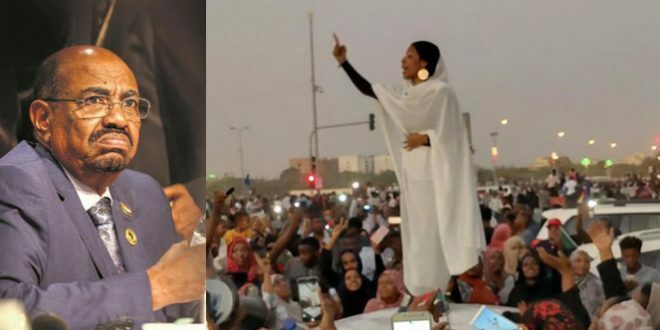 Selam Haile, Mahmoud and others who aptly responded to a Brother or sister Hawaz. I have nothing to add except expressing regret the enchroachment unawareness has made in to our understanding of our society despite the price it paid in blood and sweat to raise consciousness among members of the society. What Hawaz wrote demonstrates the scope of concern aware Eritreans should pay due attention. The youth must be shielded from such dangerous and polluting attitudes that endanger the goodness Eritreans share as diversity and persons. Are you saying Muslims are not Eritreans? 1. If you are old enough to gather all this incorrect information that haters float about this community, then you should also know it is garbage. 3. In that sense, you and I also came from somewhere. Hey, don’t throw stones while dwelling in a glass house!! 4. Even though not applied to Jeberti as a group, the “40 years” rule was enforced only in certain areas of Eritrea, and that rule was dismantled by the Eritrean revolution, now supplanted by the Land Use Law. In the future, it may be governed by laws originated from a constitution that the representative of Eritreans adopt. 5. The web site that is giving you the opportunity to lambast the Jeberti community is owned by a man who hail mfrom that community. Don’t you feel you need to be a bit polite? Disclaimer: I’m not from our Jeber community but I know my ancestors came from somewhere. I proud about it, and I’m a proud Eritrean. You started your comment by a question but then transitioned into making disrespectful conclusions. That’s not right my friend. One thing I really don’t get is, why are people obsessing about Jeberti? What the heck is all the fuss about? They are Eritreans like everyone else. Period! It is malady from which some individuals suffer. It’s mind boggling why they fail to use their creation endowed faculty of discriminating the good from bad, and allow their minds to become depots of ignorance. You and me can imagine that Hawaz Tesfom might be an innocent receiver of unbaked and biased information from individuals who themselves needed to be informed. Ismail just now covered some of what I was going to start with. Here is the scoop from this vantage point. Eritrean Jebertis are one of the most successful entrepreneurs Eritrea ever produced. Yet, the likes of the menace at home uses this community as his “boogiemen” when it suits him. Who would forget in one of his first visits when a young woman whom I knew well – here name is Sofia – asked a question about language using impeccable Tigrinya. So, opportunity of a lifetime not to be missed … the menace’s response was based on wrong assumption: (1) He assumed she was Jeberti when she was not. Based on this erroneous assumption he run with his tirade in berating her in how they (meaning Jebertis) want to run away from their own identity while speaking Tigrinya at home…so on and so forth.. rubbish. This is supposed to be President of a nascent nation … this must have been in 1994 or thereabouts. The worst part was the public gave him a standing ovation that seemed to last forever. No sense whatsoever that the public was raising a Frankenstein that would come to destroy us all. Right there and then, a monster was created and he used similar arguments when he went to Saudi upon Eritrean Christians when he spoke Arabic and they asked for interpretation as he would berate them for not speaking Arabic while living in a place where Arabic is there to be had. And we keep on buying this kind of moronic reasoning to insult our countrymen and countrywomen. This is the most baffling thing ever. I don’t respond to these kinds of garbage talk because nobody can decide to hand me my citizenship. I consider myself to be from that community and ain’t no imbecile going to decide what my identity is – no government nor individual or individuals can do a thing about it. So, the person who, seemingly honestly, is asking such a question, glad that Mahmoud & Haile S. responded to him as I wouldn’t dignify him even to merit a response. In fact, that’s what should always happen. When someone comes with some such asinine questions to implicate Eritrean citizens, the person or persons who are not from that group – as MS and Haile S. are ought to be the ones to respond so the instigator knows he is just digging a hole for himself. When anyone comes to do some such stupid thing, I inhabit that identity … as in famous speech Kennedy gave telling Germans in German, I am a Berliner: “Ich bin ein Berliner”. We should all come out in unison telling some such moronic insinuations to stop the garbage and proclaim that we are all Jebertis. A dear friend just knocked at the door and came with breakfast…so, let me cut it short here to enjoy my breakfast…he is a great cook! Last point on this, in metaHit he uses Marya and Beni Amirs against each other by empowering the former, thereby, creating clashes between the two communities – For an outsider, there seems to be no visible differences in language and in their way of life. But, one other major part of this formula is that he blackmails the tribal leaders of Sahel, namely, Habab, tMaryam, and Betesgede to become paid informers and if they don’t they would be put to jail, many of the leaders who refused this had been jailed and many more continue to suffer of such poisonous wrath that the snake spews. Mind you, the menace knows not only the tribal way of life, but he speaks the language and he dresses like deqqi metaHit and he asks for an honorary membership of the tribe by having them perform Ashal ritual. This is how deeply entrenched his evil ways continue to be. He is going to live an intractable challenges for generations to come. There isn’t a community he hasn’t touched – he has perfected it to a tee. He creates a discord between Mensa’E Eritreans by bringing certain individuals from each group to the limelight in media and the like using the religious differences, creating, yet again, a wedge between the two communities. Similarly, he does the same between Bilen Eritreans…Need I say more? I think not. The people who go on ranting about Jeberti are probably jealous of them for they are smart, business savvy with impeccable spirit of enterpreunership. እንታይሞ’ዳኣ ክንብል ኢና ገሪሙናኮ. Dottore, many thanks for the song. It is one of my all time fav. Here is one with lyrics (not that his voice is not clear, but there just is a certain joy to see the lyrics written) so you can really enjoy it. The earlier one was editorialized, which was done for a purpose for comparative analysis. Wedi Tikabo, like his father, has that captivating voice in a different way than his dad. There is a moment in the clip below where wedi Tikabo comes to his dad’s aid as he takes the flower so Aboy Tikabo can do what he does best: Helping the audience reminisce on his original song, for which he was famous for: “Kem kokohom ab semay” It is this social fabric of respecting one’s elderly being dismantled by this regime. Yet, some preoccupy themselves whether Jebertis are Eritreans or not. 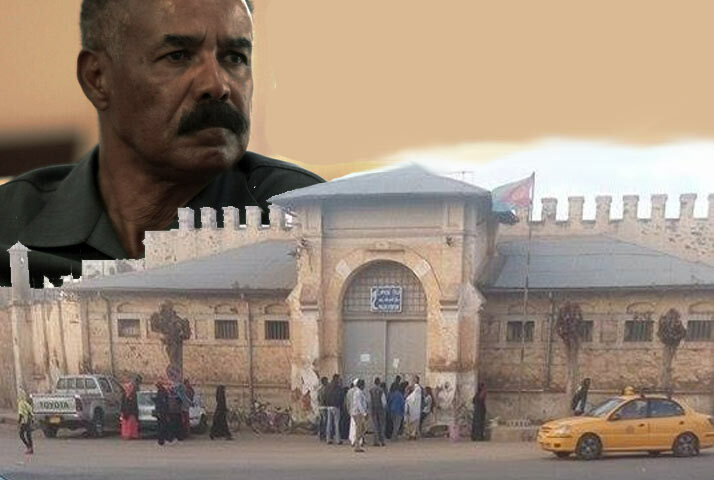 There is nothing more illustrative of the damage the menace has injected on the psyche of Eritrean citizens. Grazie mille Dottore. E’ una cansone molto bella. Veramente! Wedi Tquabo is deeply philosophical in such a way that not only conveys the national trauma and pain but reflects upon the zeitgeist through powerful and penetrating lyrics. If we have lost the one and only Barya, we found him in Wedi Tquabo and eternal memory to the former and all the power to the latter. Your comment reminds me how the Hitlerites were jealous about the business savvy Jews, who dominate the Germany economy just before the World War II ignited.Though I am not equating both, it is a symptom of that malaise. It’s a matter of degree, but the malice against this community is deeply rooted. The Jebertis are as cosmopolitan Eritreans as they come. When opportunities for education were few and far between, the community did what any community would do in their predicament, they throve and accomplished vibrant business communities wherever they went within Eritrea’s proper and without like going to Ethiopia as my uncle did when he noticed that the Asmara environment was not big enough for his business acumen; succeeding he did as I had pointed out in a different day and a different topic and different article. You get my drift. 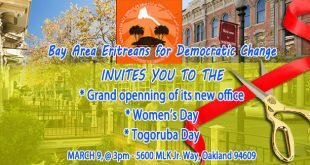 The Jeberti with whom I grew up, who are part of my life, are not known only as business accomplished community, but also they are “generous and hospitable Eritrean community”, whom I see them as proud Eritrean like any other Eritreans. Let me tell you a story of Adey Zeineb during my high school time, who was a widow and was selling “enjeras”. I was renting a room with one of my villager across the street where adey zeineb were living. Her deceased husband was a great business man in the city and he owns also the house where she use to live in. Our acquaintance begins when we started to buy enjeras from her. Three month to the school year, the landlord from whom we rented the room told us that he wanted to demolish and rebuild his building. So he gave us three months to look a rental house and move on. We shared our problem to Adey Zeineb. She told us not to worry. She had an extra room in her house and told us to live as her children freely until the end of the school year. From that on, my parents knew her and become like families visiting each other. 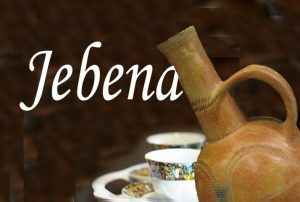 The kindness and hospitality of Adey Zeineb is a microcosm of cultural values of the Eritrean Jebertis. And to question the Eritreaness of the Eritrean Jebertis is an absurd question from sick people who do not know the make up of the Eritrean people. Every society has its own blessing. The Jeberties are blessed by their religion. Their religion that exposed them to arabic, a language that was the quintessential link and means of transcommunication of the abyssinians with the outside world in commerce and many other relations. It was inimaginable to send a group of people with a mission to bring a new patriarch (abune or abuna) from Alexandria Egypt without getting accompanied by arab speaking guarantors of the mission most likely Jeberties; without whom the mission members will be sold as slaves together with the slaves they were bringing in payment and gift to the Sultan of Egypt who had the 100% power to allow a patriarch to be sent to Abyssinia. The whole purpose of this jeberties conversation is to remind people’s different. All the docs, professor s,….knows how identity created and how it ia dynamism. Funny thing is when Eritrea is under an absolute reign of three powerful Tigreans…as in Isaias, Monkey and Kisha, the sycophants are berating the bona fid who are real deal Eritreans through and through. Actually, it doesn’t bother me, them for being descendants from Tigrai. We are all descendants from somewhere at different period of time, populated to the current generations of Eritrea. What it bothers me is their character as human being, who do not have humanity and decency to their subjects once they come to power. Their act is similar to our adage that says “cutting the hands that feeds them” which means oppressing the people that hails and welcomed them. I absolutely agree with the fact that genetic traces if you will shouldn’t have been an issue but it takes a center stage when one is compelled to make an argument with respect to a rather consistent pattern of behavior. For instance, Beyan, in an earlier rejoinder walked us through the cunning divide and rule employed by the guy at the helm when some of the ethnic groups found themselves at loggerheads for there was no need for it in the first place. The rationale to throw a wedge between or among the ethnic groups could be a sinister motive to hide one’s genetic root from surfacing onto the fore. Andebirhan, in his book mentioned to that effect when Isaias under influence of Alcohol brings out* his psychological hang-ups and runs with it as his modus operandi to stay in power. *I know what you all say behind me….. It has been my experience, almost unfailingly, that those who ask these types of ridiculous questions are those who are “uncomfortable” about themselves in the first place. It is a sort of “overcompensation” if you will, to any suspicion they imagine others may have on them. In their world they believe that the more they question everyone else’s “pureness” the more pure they think they appear themselves. You landed the hammer where it should on the head of the nail. It’s indeed psychological syndrome – behavioral tendency rooted in instinctual deficiency of self-confidence in ones own identity. It expresses itself by hiding in exaggerated jingoism against others; its releasing mechanism is under-rating or directly assaulting others with the hope their behavior could lend value to what they would like to be and help in camouflaging their real being. It’s social peril that needs appropriate cure. What was the woman’s ethnicity if she was not a Jeberti? I thought the woman was a national embarrassment and the President made her look like the fool she is. I thought exactly the opposite when I watched that video. I thought the president made a terrible mistake for not using that opportunity to strengthen unity and put those like her at ease. He knew exactly she was referring to the religious importance of Arabic to the Muslim community because she indicated as much. For some reason he chose to give her a street-smart answer “enta’yu Tigrigna endatezarebka, Arabigna Arabigna*” followed by a strange chuckle. When a citizen addresses a national leader, they expect a solution, sense of being heard and taken seriously, and in the minimum a sense of hope. None of that happened, but instead she was ridiculed in public to shut up by her own president. I think he planted one more seed of poison that day. * What is this Arabic, Arabic while one speaks [native] Tigrinya. Let me tell you why it was a bad question. Eritrea just got out of 40 years of war (the federation era was not a peaceful time). She should of had the wisdom to focus on more pressing issues like rebuilding the country back up, institutions, education, currency, healthcare, etc. But she ignored all that to ask about Arabic. The crowd reaction to her question summed it all up. Isaias could of sneezed and said next question and he would of received a standing ovation because the crowd was annoyed by her for her religiously motivated poison. Arabic is a religious issue, not a national issue. When you demand to make Arabic a working language, you are implying every Eritrean should be capable of speaking it. Eritrean Christians should not be expected to learn a language simply because someone else thinks its important for their religion. Aramaic is an important language for Christians since that was the main language Jesus spoke (in addition to Hebrew and Greek), should Aramaic be a co-working language in Eritrea that Muslims should learn to speak? No it should not because that is a waste of time and resources and severely selfish of Christian people to make another group learn a language simply because of their religion. Well that’s how Christians feel about Arabic. And let’s be clear, the overwhelming majority of Muslims on the planet (1.8 billion) do not speak Arabic. They are perfectly fine with their mother tongue. Even within the Horn of Africa, there is no consistent calls for Arabic within any ethnic group aside from Eritrean Jeberti elites, which is what the woman is. So if any Eritrean wants Arabic to be a co-working language in Eritrea, this call must be accompanied by a call to make Aramaic a co-working language to balance out the irrational nature of Arabic. “Arabic is a religious issue, not a national issue.” (!!) Again you assertion is wrong. The more you write the more mistakes and uncertified statements you make. Here, let repeat myself: I would hurry up to check my sources after being graced by lots of clarification from fellow forumers. Trying to play clever to learn is a lot more cheaper than trying to deploy it to score points. Your question about Sofia’s ethnicity might be moot at this point, since the discussion branched off to so many directions. If one says she is not Tigrinya speaking, it can only be one of the other ethnic groups or any other Eritrean languages. The answer to your question is that she speaks Tigre/Tigrayit. I am feeling silly responding to this question, but here it is. So, now what, Robel? A Tigrinya woman advocating for Arabic language from a religious point of view??? Is there something you wanted to educate us about the prostitution too because it was raised in that moment? Sofia advocating for Arabic while she speaks Tigrinya!!! I thought she made a mistake by playing in to Issaias hands by speaking Tigrinya instead of Arabic. If prostitution is what you find of interest, then, I will leave that for your fancy. My fancy rests in the menace’s polluting minds as early as early as the 1990s … it wasn’t even the issue of language that I was premising when I cited that as an example. It was how someone who portends to represent a nation was incapable of addressing questions that were posed to him by fellow Eritrean citizens. Such that it is, our own mindset (read some Eritreans) appear to be ill equipped to hone in on the central issues without deviating into the tangentially trivial and petty stuff, thereby, wasting enormous energy and time for it. At any rate, since you seem to remember, did he address the question of prostitution, I bet you not? You seem to focus on a citizen asking questions, rather than what type of an answer was given. Questions are posed to be responded to by responsible public officials…so, enlighten us, blink, won’t you? No , the word was spoken by Issaias in that the same moment the lady asked him. He continues to speak about that and a bar owner , did you watch the video? Blink, generally speaking PIA’s yearly Q&A of the 90ies where the most shamefull for me till I get used to it. He never missed the opportunity to deceive. 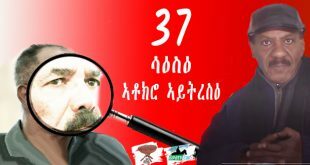 His answers where that of a smart-a (ለባም መዓኮር), not of a leader. Whatever the motivation of the person asking the queastion was he should have given a decent response. Therefore please don’t duel on Sofia. If one was to create a corpus of this man’s “yearly Q&A of the 90ies” alone for textual or speech analysis, it would shed light of a man who ponders over imponderable stuff worthy of no substance. I wouldn’t even wanna ponder the subsequent decades of inexplicable statements such as, I am paraphrasing here, ሰብ’ኮ ናብ ማይ ዘለዎ ቦታእዩ ዝኸይይድ እቲ ማይ አይኮነን ናብቲ ሰብ ዝመጽእ when he was asked about the shortage of water few years back. This is as imponderable as they come that signify nothing, and this coming from a leader of a nation’s mouth. Your vivid description in Tigrinya of “smart a.” captures it all for me. You made me laugh. I never thought about that. It fits perfectly. Give the man credit! Indeed, the pharaohs came to the Nile. The Babylonians and Mesopotamians went to the Tigris and Euphrates. And the Hindus to the Ganga river. Every thirsty person ended up in the banks of a river. Why can’t we all pack and displace the Ethiopians from Abbay? That is going to where the water is. Even if that takes a few centuries, it is a move we have to start now. What can he do, his click was smashed when he was in a different setting in Sahel. Thanks for the festive wishes and I hope you have good time with your family and friends too. Back to Issaias, we never had a time that ignore his views, while we can freely dragg him down to dirt yet we have been talking about him for ages. Not that he cares and I don’t believe he knows about us too. My question to brhan was , if he has any other ideas from the lady as well as his views on the question. How can we ignore a person at the center of everything going wrong in our country? I agree with you, he doesn’t know or care to know about us and I don’t think anyone of us here says something to send a message to this deliberate-deaf including to those right under his control. If he had the capability to listen to contemplate and be considerate of his country’s men and women, things would have been much much different. Now, should we stop talking about him? Impossible! No one stops talking of his misfortune. The Topic is about hajji mussa and what happens with our Country. Eritrea! This People get paid to Spread fauls Information. The know how to manipulate People. The try to switch the Topic. Our Country and People are dying, there no Freedom and the Military is ruling the Country. Even if we want we can do nothing against this Government. Only knowlegde is the answer ! We Need universitys in our Country! We Need People who Think. Diversion Mr. Truth! We Eritreans seem to be emotionally driven and thus easily distracted from our course. We are in war. In times of war, you don’t leave your men behind. That is what Abona Hajji Musa is doing. Let’s not forget the men and women who are languishing in every corner of Eritrea and the world. PFDJ is in a serous ዓቕሊ ጽበት and desperation, sending ጃሱሳት and distracting communities is what it has fully engaged on. Do you know how bad life is in Eritrea? Since it is a weekend, let me put it in a joke. That is sooooooooo funny. I laughed my eyes out. Can’t wait to tell my buddies. Thank you! I am not a person that laughs easily; but, your sarcastic joke did it. A great solace after a long day at work. Thanks. Dark humor is not for the faint of heart. I read this out loud earlier in the morning when I was having breakfast, did my wife and my friend laugh out loud – as in the parlance of the generation of selfie – lol. Can you provide a credible source showing Jeberti people were in Eritrea prior to the Italians coming? From my understanding, the first Jeberti people came to Eritrea from Tigray after Yohannes ordered they convert to his Orthodox faith or leave in 1885. I know there is this story of Jeberti people coming with the first Muslims but that’s just a myth on par with Queen of Sheeba’s first son, Menelik 1, establishing the so-called “Solomonic dynasty”. Truthfully speaking, Jeberti people are Eritrean citizens. However, their arrival to Eritrea is recent. The Jeberti people’s original homeland isn’t even Tigray or Amhara regions of Ethiopia, it’s Zeila, Somaliland. If you believe they are true citizens of Eritrea, why do you ask as to when was their settlement in Eritrea, when in fact someone is questioning their Eritreaness? Can you tell us when your roots have settled in Eritrea? I’m asking because he made a claim that doesn’t harmonize with what I read in history books. That’s what people who don’t indulge in fantasy history like to do. Jeberti people are Eritrean citizens. How early or late they arrived to Eritrea doesn’t change that. But from a historical context, it is very accurate to say they arrived in Eritrea in 1885 from Tigray. Based on carbon dating of archaeological sites, the ancestors of Tigrinya people settled in the Eritrean highlands roughly around 2,900 years ago. We know they are cultural ancestors of what would later become Tigrinya people because they were building hidmos and other cultural traits still practiced by the Tigrinya ethnic group today. Why Jeberti? Why not bilen or some of the late comers of Tigrinya in Afelba …. and other places? Why are you guys picking on Jeberti ? Emba Derho community recently migrated from Tigray in the late 19th century but they vehemently deny it even though it’s a historical fact. Bilen community came in the 10th century and 12th century. They don’t deny it. I’m more impressed they were able to retain their mother tongue for so long. For one o be ignorant is one thing, for one to display his ignorance as a badge of knowledge is pathetic. You would be better off if you stop repeating the bigoted slogans that were carried to your mind by previous bigots and for a change read history and then, equipped with verifiable knowledge, and debate as a student of history–not as a bigot. However you try to hide your bigotry, is too obvious your comments are driven by derogatory disposition. If you have questions, ask them as someone seeking knowledge, not as if your utterances are facts simply because you say them. I will be more than happy to share some history with you if you offload your bigotry and ask honestly. What do you say? Mahmouday, I sm sorry you (and now me) have to be drawn to the nauseating topic. I understand your intentions are good when you supported your argument using the coming of the Italians as the yardstick. Please leave that for individuals like our chap here who think Eritrea existed when their ancestors were doing what they do best: aggression. Or better, they believe they landed in present-day Eritrea straight from the loins of Adam and Eve. Boom, and boom! No trekking and no aggression, and not displacements and no intermarriage or human interaction. Everything is measured according to village norma (and ten hut village mentality where everyone is related to each other). A friend always said to me “we are a traumatized nation”, with every passing day, I believe him more. And I add, we have more than our fair share of deranged individuals who are prone to bigotry and predisposed to display their ignorance without shame. No one challenged your absurd claim that Jeberti people’s original homeland is Somalialand. Many moved from Ethiopia and vice versa, both Muslims and Christians over tousand of years. However, you said Muslims came to Eritrea in the year 1885. That is only 3 generations away! Do you think we don’t know our origin just 3 generations away? Just stop, please. It is just ridiculous at this point. This is called a straw man argument. I didn’t say Muslims came to Eritrea in 1885. I said the Jeberti ethnic group came to Eritrea in 1885 from Tigray. Merry Christmas to you and those near you. Your unequivocal assertion of citing 1885 is simply wrong. I would hurry up to check my source after the responses your fellow forumers have posted. Thanks for the question. You seem to be interested in historical accounts and not on questioning the citizenry of the Jeberti people. That’s fine with me. I can discuss that and please bear in mind; this is not a scholarly forum that I should be burdened with providing citations, annotation, footnotes and what not. It is available for anyone who wants to learn about this subject provided that we don’t approach it ONLY to prove our preconceived and biased perceptions and conceptions. It is about human history, about waves of migrations, etc. Talking about Eritrea as a polity, we have a start-date, 1890, that is when Italy declared the land now we call Eritrea as a separate political entity, and people who lived therein as belonging to a territory called Eritrea. Let’s also acknowledge that there were many Eritreans from Tigray, Yemen and other regions who established their lives in Eritrea after 1890, and they are equally Eritreans. I know many who fell for the liberation of Eritrea who did not even cast off their “foreign family” names. On a different front and relevant to the discussion is the case of our beloved father Weldeab Weldemariam. The family tree of IA is not that complicated. This is not to say he is not a “pure Eritrean” but to elucidate that the history of our social groups is the collective stories of the families that form them. In that case, there are early as well as latecomer families, but they are perfectly Eritreans. So, labeling Jeberti as a community as latecomers is erroneous. Just like other social groups, it has latecomers and early-comers. That’s again ONLY for discussion, not determinant in establishing their rightful citizenry. Think: if we are to go down this lane, how early is early? Emperor Yohannes created a mass displacement within a short period. But that is not the ONLY story of Jeberti. As you alluded to, Jeberti covers a vast region, from Zeila of Somalia to Zula of Eritrea and beyond. As a primary artisan, entrepreneurial and commercial community, it connected societies and civilizations along the commercial routes and settlements that transcended traditional and modern boundaries, but each of its sub-communities felt attached to the people and region within which it lived: Eritrean Jeberti felt strongly belonging Eritreans than to their Somali Jeberti. Tigrian Jeberti felt strongly belonging to Tigrians than to Eritrean Jeberti, and so on. The same goes for other ethnic groups. None of the other ethnic groups, save Kunama and Nara could establish a specific period within which they became “deqebat/native” or “Eritreans”.as a group. Just to give you an example, my own ethnic group (Tigre) is composed of different families/clans which settled in the region at different times. Tigrigna has the same story. Each of Kebesa “villages/Adtat” has its origin and each of them arrived at different times. Just like like in other social groups, some Jeberti families count back generations in Eritrean land before the establishment of Eritrea, and there are others that settled in today’s Eritrea through the atrocities and hegemonic policies Emperor Yohaness committed. So, no, they were not “bussed” across the border at one episode of history. Now, let’s farther ask this, let’s come back to a point Paulos raised: why so much curiosity and scrutiny on and about Jeberti? I think you will agree with me that it is an exclusionary motive that propels such anxieties. There are few whose motivation is hatred and exclusionary whims. Even if we accept your version that Jeberti were collectively pushed across the border by Emperor Yohannes, sain minds should put the Emperor on trial and not the victims. As I indicated above the matter of citizenship is a legal one and it is established by law. Hence, ALL of us, including the president, are citizens without adopting the rules upon which citizenship should be distributed (constitution). No one can claim they are more citizens than others. We are all Habayb. So, lets us celebrate our diversity and consolidate our sense of belonging to each other rather than doubting each other’s status. You know what Muhamuday? I jotted down pretty much the same argument like yours in content that is earlier but Disqus ate it. That is well argued piece. Thank you Sir! Excellent response. But then keep in mind, those who ask such questions have motives, and I doubt they will be satisfied by your answer. They have already their own perception who is wedebat and who isn’t. That is news to me, mate. I had no idea that I wanted to become an arab. Also, do you think Muslims only existed for hundreds of years in the lands? To make it clear for degenerates. Muslims learn Arabic to be able to read the holy Quran and practice Islam fully. It has nothing to do with ones ethnic identity. You can’t become someone you’re not, and we certainly don’t want to. For instance, I speak and write better in Swedish than people originally from Sweden. I will still never become Swedish, because I won’t be accepted, because I’m different. However, when it comes to Eritrea, the country my ancestors hail from, I simply belong. No effort needed whatsoever! My latest post is gone yet again, since it is apparently a “spam” post. Could you please explain why that’s the case, or did it just catch the spam filter? Selam – Just a test! 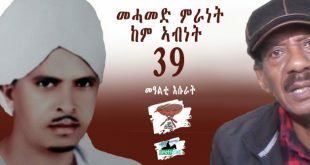 ወዲ 20’ዶ ናይ ትስዓታት ዕድመ? PS: above is not written with rules of poem (if there are such rules) in mind; it’s a flow of emotion. I hope Abuna Hajj (Tigrayet) make it out with his community members, if not I totally agree with his decision to face the eventuality with his friends. Tigrayet speakers say ካቲመታ ላኣስነ እግልና። And መወዳእታኡ የጸብቀልና (Tigrigna), which translates to: May the Almighty concludes our end on a good note. This is a man who stood tall and broke the silence, he is in his nineties, he has become a symbol of resistance. they may carry him out against his will or when he is incapacitated, but I expect he won’t sign a damn paper in order to save his skin, which is consistent with his character as attested by some writers including the excerpt Beyan Negash presented here taken from Alemseged Tesfai’s book. I’m so proud of him, and his integrity is a matter of envy for those who should have acted in order to prevent the predicament that put this elderly man and his community in this situation. It is also something the new generation should learn from. I wish him the best, and pray that his life will end with dignity in compliance with his conscience. I added you in my response below because what you are saying here fits with the larger message that I am trying to convey. Timely poem and a healthy reminder to the younger generation to see beyond their individual interests if we are going to have a country that we can all call our own. Your poem is the authentic, original, raw and unsweetened honey right from the hive, from the hollow trunck of the tree! Thanks. I enjoy reading poems. Writing them is an altogether different matter. It s scares me to death. Well, I keep reciting the pieces you, kokobay and others drop. Thanks, though, for the sweet and poetic words. I did not know you could write such , have you ever considered to google old EPLF songs ? I usually do just to make sure some kids listen to the revolutionary songs, yesterday I wanted the kids to choose one song that we all can listen and try to understand it . They choose “ Afriqawit Vietnam “ by Oqubagabir , we all gave it a try about his way of emotional connection to his own land , the students could not believe that the man was not able to see Eritrea as a country but one 14 years old said to the room ,” I think the person who wrote this song knew his side will win the fight at any cost” ‘ after that we all go home . By the way the kids are not mine but Eritrean kids in search of their roots. If it is not this one, then what is sanctity? This conpletes perfectly this great man’s thinking. It is not as good as yours, thank you for setting the tone. It is perfectly perfect. A poet is born in Peace! Great men never let opportunity to pass what made them great to posterity. For them, endurance for upholding principles has precedence to enduring pain in ordeal. The latter is physical, but the former is what gives their personalities and existence meaning. Hajji Musa has taught us once more what leadership means and the responsibilities it entails. A great leader never lets those who followed his leadership and shared pain and suffering behind. By his refusal to walk out the dark dungeon must have struck the despot as sharp arrow of an indomitable warrior. We, as Eritreans, should be proud to have such great men still living among us. I wish him a speedy recovery and hope his wishes come true. Isaias has set the bar where he is beyond reproach when he denied the remains of his erstwhile close friend to have a proper burial in his home country. His supporters if they are in fact supporters had to come up with an irrational so that abnormal would continue to be taken for the new normal. To expect the supportes to finally wake up to the dire reality is tantamount to…….I let you fill in the blank. In one of your previous notes, you noted from physical/medical standpoint how one can survive for as long as Aboy Musa did after facing torture in the hands of successive authoritarians? It’s one of those mysteries of human spirit – some just are as hard as steel and their will to survive must have something to do with it. But, for the purposes of today exchange though, interesting that you mention about the menace not even letting “erstwhile close friend” to have “proper burial in his home country.” Word has it, the menace was one of the beneficiaries of Aboy Musa’s generosity in keeping the then little monster supplied until he left for ghedli. Who knows, in his logically convoluted and irrational thinking, he might be making those who didn’t go to ghedli pay the price for the thirty years that they didn’t physically go themselves to fight. But then how does one explain doing the same to those who had fought equally, if not more than the Frankenstein of our own making. Granted, this is a case of ክንዲ ዘኾለስኩ ኢደይ ተነኸስኩ፡ One can’t help it but wonder. Notice how many of the men in their advance age are receiving the wrath under this man’s hands. It defies logic, defies any sense of human decency, and defies any semblance of someone who has his “head over his shoulder” as the saying goes here. There has to be a way of stopping the madness that we are made to observes helplessly here, where a nation is going to h… in a handbasket. Incidentally, reading your note all I could think of was the novel “Cry, the beloved country” of Alan Paton that predated the late Mandela’s activism, but captures a nation that ironically institutes Apartheid in 1948, the same year the book came out. We all thought Apartheid was the worst form of oppression…and it is … but then when faced with the kind of an abyss that we are seeing, it just make one wonder … a little catharsis like penning one’s thoughts is a form of therapy…I guess…I can feel the release of tension already. But, then, couldn’t help but remembering SGJ’s urge for us to have some rage in us…the stuff that we has been so relentless and so nonstop that we are all numbed by these atrocious actions we hear and read about. 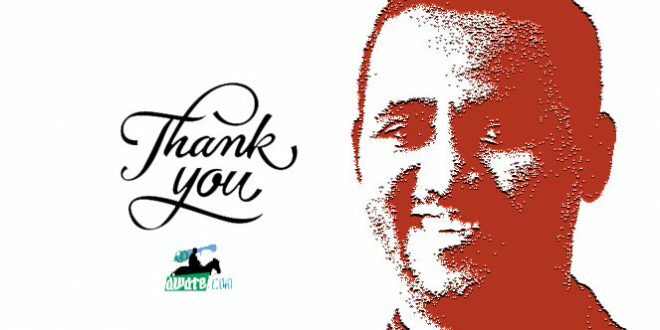 Aboy Haji Mussa is an outlier who refused to abide by the bell-curve distribution when he is endowed with an extra-ordinary physical courage but he stepped into the “bell” to be part of us to lead us with an equally stellar moral courage. The experts tell us that the human body has its own limitations which defines what it is to be human in the first place. The natural process of this limitation is imprinted with in the psych of any given society such that those who have reached the limitations are taken with an extra care, if not revered and celebrated for an old age is a grace from the heavens. A man’s life is defined by the hyphen between the numbers they say. A hyphen with an average of six decades is the norm in Eritrea but ninety and still counting is simply extraordinary! The extraordinary doesn’t end there—the mind thinks with clarity, the heart beats with courage not with desperation, and the sharp eye is not resigned but defiant. And the brave soul with a sense of humility says, if I have seen farther than others, it is because I have stood on the shoulders of giants—giants who have given up their precious and unreplacable lives so that the elderly could be respected and the young could be cultivated. Elie Weisel, in his tour de force anthology “Night”, Dawn”, and “Day” narrates about a nihilistic world where not only the Sun refuses to come out but justice enters into a scizophrenic mode and confuses the victim with the menace. And it is with in this void that evil reigns. Elie Weisel challenges us if the heavens take or go on sabbatical when we are inflicted with lack of moral clarity not for a day or months but for an age of a child and till the child graduates into adulthood and becomes a victim as well. Evil sees an enemy in a child, evil sees an enemy in the elderly and evil sees an enemy anything in between as well. As Weisel concluded, no one is left. Instead Aboy Haji Mussa says, I ain’t walking out alone for I came in with others. Those are the echos of history! Goodness in every one of us as citizens of this wounded nation we call home as Eritreans must learn morality from one of our own who offers lessons for free from reservoir of knowlede you blessed to enjoy. I wish those who for one reason or another commit themselves to defense and staying on of the regime could open their minds and hearts to meaning and purpose this last post of yours contain and purport. Thanks dear for your contribution to improve my insight and wisdom. I don’t put any hope in the supporters of the regime to suffer in silence like many of us in the opposition do and we continue lamenting about hee. What they are basking in where there is no victory but despair, where there is no peace, but a bottomless abyss is difficult for me to fathom; nor do I pin my hope they will try “to understand the past and to “nurture the future” as torch singers did in the eleventh century. Hey, it is what it is. At any rate, I came to fill in the blank, Paulos, but what I got was words of wisdom, what a gem y’all are! I couldn’t help but think, if this thread wouldn’t become the way awate wraps up this year. 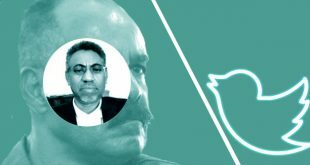 Just, sheer heartfelt notes coming from all awatawyan expressing what they feel from within, at the top of which will be that of our two Communicators in Chief: The combined notes of the two, I kid you not, hit a cord so deep that I felt it in my bones, which came out by way of uncontrollable tears. Yes, I admit, some words woven in a certain way have that kind of effect on me. The exchanges between Peace and Haile S. were at hand to play a role of pacifying, indeed, they had that calming effect. Serene. Thank you so much. I am humbled by your kind words. We are here to learn from each other but wish we had used the potential in each of us in the country and for the country we all dearly love. His courage, his clarity, his defiance, his bravery, and his humility are exemplaries of good virtues our young ought to emulate in the era of submission and fears. Excellent message doctore. Perhaps this song can bring some sense of hope to our young so they may focus their eyes on the prize in getting their country back. The ultimate price was not paid for the goons to take the country down the drain. The song is very moving, I contend, our version of French Torch: I am putting a 2 minute French version of Torch song for comparison. This French version was sang and dedicated by Plaf to the French during the war with Algeria, the point, however, is not about the message; rather about the emotions it tries to draw from the listener. 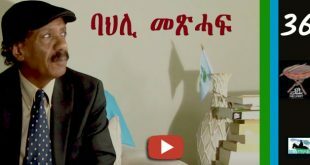 The tigrigna song is very relevant to our young generation to remind them the sacrifice and dedication of the generation before them, who brought the birth and recognition of our nation. It reminds them that the current struggle for justice and liberty do also requires dedication and sacrifice. Many thanks for the great songs. I must say I like the French more for it took me into a scene in Spielberg’s great movie “Saving Private Ryan.” This song plays in that particular scene when the company (soldiers) chill in a nearby rundown building when bullets buzz around in the background. Thanks again, please keep them coming. This Piaf’s song is one of my favorite. Since many Awatistas liked it, I was compelled to translate it. It is not without a certain relationship with the subject at hand. Here is the french lyric and my translation. BTW Beyan your choices of songs and Avatar is exquisite. Went to bed after reading both the French and the translation of it hoping to dream in French so I may have bragging right to write and think in it, to no avail. Somethings don’t come that easily, one has to work for it. I envy your mastery of French language…no wonder you give perspective that are not only unique but have some knack to them that this reader is always with wanting to hear more. Many thanks for translating the torch song. I see Dr. Paulos has enjoyed it for different reasons. Hey, all I can say is glad that I shared it gentlemen.